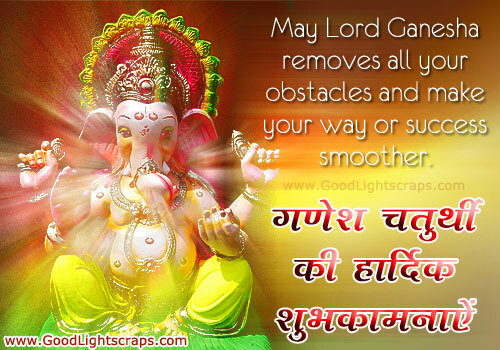 Ganesh Chaturthi or Ganesh Festival is a day on which Lord Ganesha, the 2nd son of Shiva and Parvati, is believed to bestow his presence on earth for all his devotees. 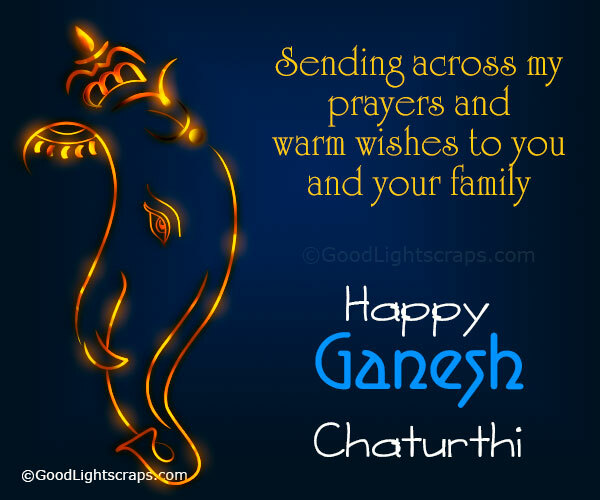 It is also known as Vinayaka Chaturthi or Vinayaka Chavithi in others Indian languages. 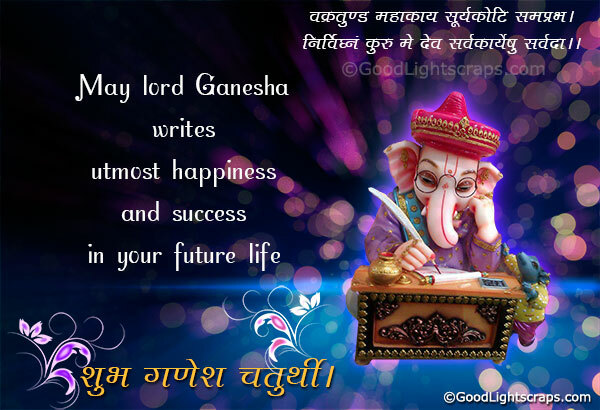 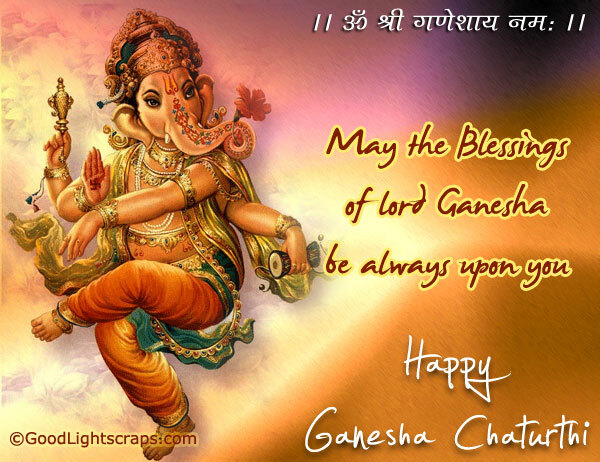 It is celebrated as it is the birthday of Lord Ganesha. 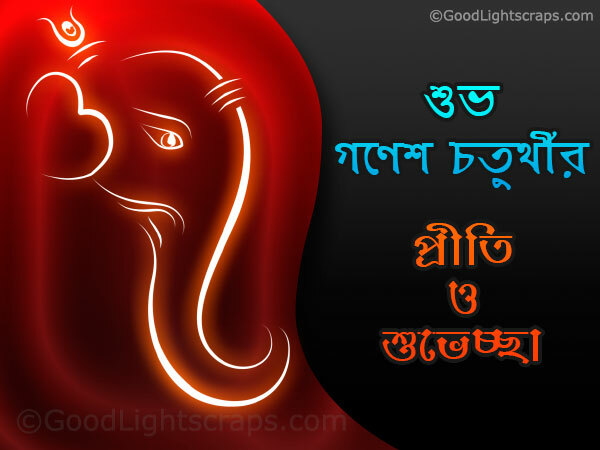 The festival is observed in the Hindu calendar month of Bhaadrapada, starting on the shukla chaturthi. 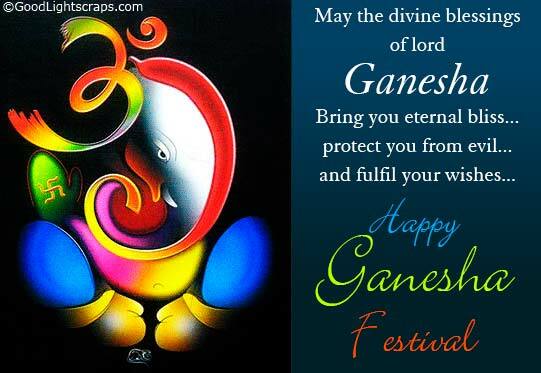 Ganesha, the elephant-headed son of Shiva and Parvati, is widely worshipped as the supreme god of wisdom, prosperity and good fortune. 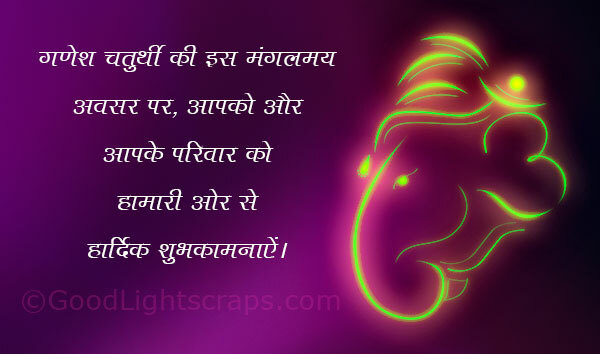 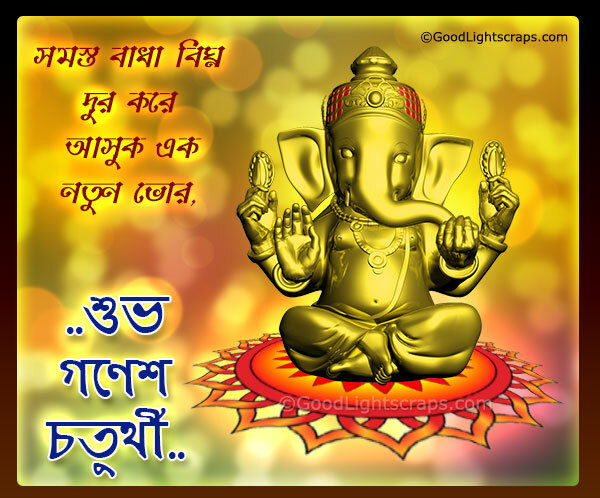 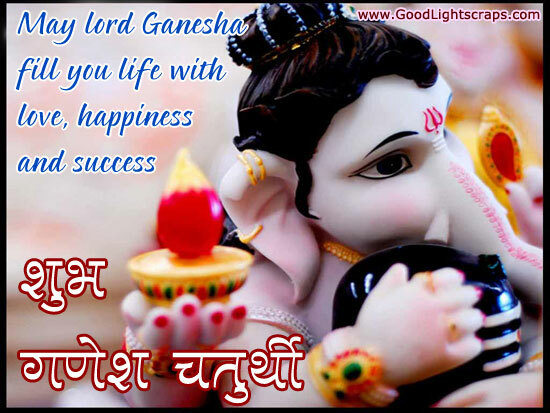 Celebrate this Ganesh Festival with your friends, relatives and loved ones sharing ganesh chaturthi images, messages and greetings, ganesh chaturthi sms, glitter graphics at facebook, myspace, twitter, pinterest, instagram, whatsapp and other social networking websites.